The Lamar University Office of Alumni Affairs has named four alumni as Distinguished Alumni for 2019, noting that their dedication to their professions, service to their communities and loyalty to their alma mater epitomizes the Lamar University spirit. Nominated by their peers and selected for the honor by the Distinguished Alumni Awards committee comprised of Alumni Advisory Board members are: Anthony George a resident of The Woodlands and graduate of the class of 1988; Joe Deshotel, a 1974 graduate who lives in Beaumont; a Beaumont resident and graduate of the class of 1982, Susan Conn McCurry; and 1966 graduate Bob Wortham, also a Beaumont resident. The four will be honored February 22 with a reception, dinner and award presentation program at the University Event Center. For more information on the event and to register, visit lamar.edu/daa. University’s Corporate Financial Management Executive Education course in 1999. He has spent the last 25 years as an entrepreneur and inventor in the fields of automation control systems engineering and marine fuel management systems. George founded Control Dynamics International, which managed automation engineering practices in the lumber, food, cement, oil and gas industries. By 2010, CDI had grown to be a recognized industry leader in designing and implementing some of the largest, most advanced control solutions for all segments of the hydrocarbon supply chain. Notable projects include inventing, in conjunction with Frito-Lay, the automation equipment for the Scoop Chip. CDI also collaborated with ExxonMobil to invent and patent, the Universal Master Control Station that controls all aspects of sub-sea oil and gas production and greatly enhances the control and flexibility oil companies now utilize in deep water fields. It was during this tenure at CDI that the development of FUELTRAX began, as a field project for Kirby Corporation. Utilizing his physics degree, George developed a groundbreaking algorithm to measure fuel consumption for sea‐going vessels and inland push boats. Realizing that FUELTRAX was a unique product offering for the untapped commercial marine market, George established a fully dedicated staff and sought investment capital to establish Nautical Control Solutions (NCS) in 2006. United States patent protection on FUELTRAX was granted in 2006 with Canadian and European Union protection following in 2012. 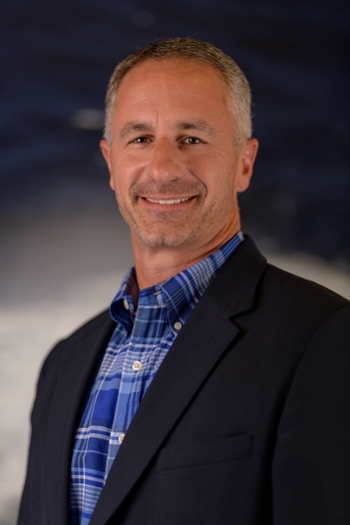 Today, George is president and chief executive officer of NCS, who owns the FUELTRAX line of Marine Fuel Management products. FUELTRAX is the first and most advanced, end-to-end, marine fuel measuring, monitoring and reporting system on the market, is the only self-contained and internationally patented system and is installed on several hundred vessels world-wide. George, who grew up in Beaumont, was a founder of the Lamar University Center for Innovation, Commercialization and Entrepreneurship (CICE). He now serves on the CICE Advisory Council, is a member of the President’s Circle and served as the inaugural Weinert Entrepreneurial Lecturer 2015. His financial contributions have established the Anthony D. George Distinguished Faculty Fellowships in Engineering; he’s contributed to the Cardinal Emergency Fund and to the CICE Student Internship Fund. George has founded multiple entrepreneurial organizations, including The Woodlands Entrepreneurs Organization. Most recently he was accepted into the elite GOOSE Society of Texas (or Grand Order of Successful Entrepreneurs), a super angel investment group, whose mission is to support entrepreneurship through mentorship and startup investment. The George family – Anthony, his wife, Michelle and their two boys, Blake and Grant - live in The Woodlands, TX. Beaumont native, Joseph Deshotel graduated from Lamar University with a Bachelor of Science in Government in 1974. He then earned his juris doctorate at Thurgood Marshall School of Law at Texas Southern University in 1978. Today, Deshotel is an attorney, businessman and representative of the 22nd Legislative District of the State of Texas. Deshotel’s propensity for leadership was evident at LU where he was President of the Setzer Student Center Council. He then went on to serve on the Beaumont City Council and was appointed by Governor Mark White to the Job Training Coordinating Council and Lamar University System Board of Regents. He has a strong record as a champion of civil rights and civic responsibility, organizing Lamar University's first NAACP chapter. He also served as Vice-President for Administration and Legal Counsel of Lamar University. During his 20-year tenure as a state representative, Deshotel has been appointed to several leadership positions specifically those relevant to his constituents. In the 85th Legislative session, Deshotel was appointed to Chairmanship of the House Select Committee on Texas Ports Innovation and Infrastructure. He is a member of the Public Education and Economic and Small Business Development Committee. In addition, he is a past co-chairman and current member to the Joint Committee on Coastal Barrier System. As a member of the state legislature, Deshotel has focused on public education, Texas economy and protection of the Gulf Coast. He has authored and coauthored bills ensuring Texas children have high-quality instruction and teachers are well trained. He has worked on numerous bills relating to ship channel improvement specifically improvement projects of the Sabine-Neches Navigation District (SNND) of Jefferson County. To ensure the Gulf Coast remains a key component for Texas’ exporting success, Deshotel has supported a coastal barrier and urged the United States Congress to provide sufficient federal funding for the construction of the project. Deshotel’s legislative initiatives have protected Jefferson County’s children, industry, and lands ensuring the region continues to thrive. Deshotel held the rank of Technical Sergeant while serving in the U.S. Air Force Reserves. 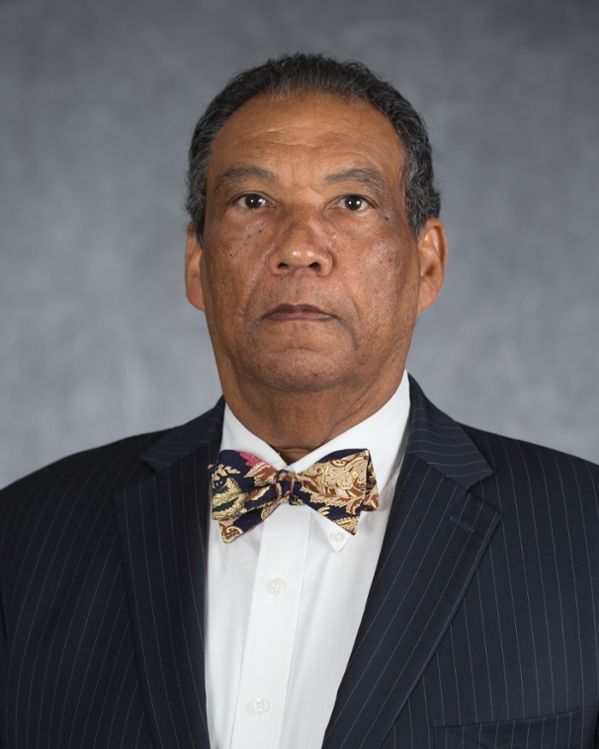 He is a past member of the Communities in Schools State Board and Foundation, served on the Jefferson County Bar Association Board of Directors, is a member of the Texas Association of Trial Lawyers and Life Member of the NAACP, and serves on numerous nonprofit boards. Deshotel has served as a mentor for AAMP program and has been the commencement speaker for Lamar University. In recognition for his dedication to education, Port Arthur ISD named its district library in his honor. Deshotel also received the Tom Jackson Sabine Neches Waterway Outstanding Service Award. Licensed to practice law in Texas for 35 years, Deshotel’s practice focuses on personal injury and title insurance. He is a licensed Escrow Officer with the Texas Department of Insurance. He is the proud father of Wilbert Joseph Deshotel of Austin, TX. 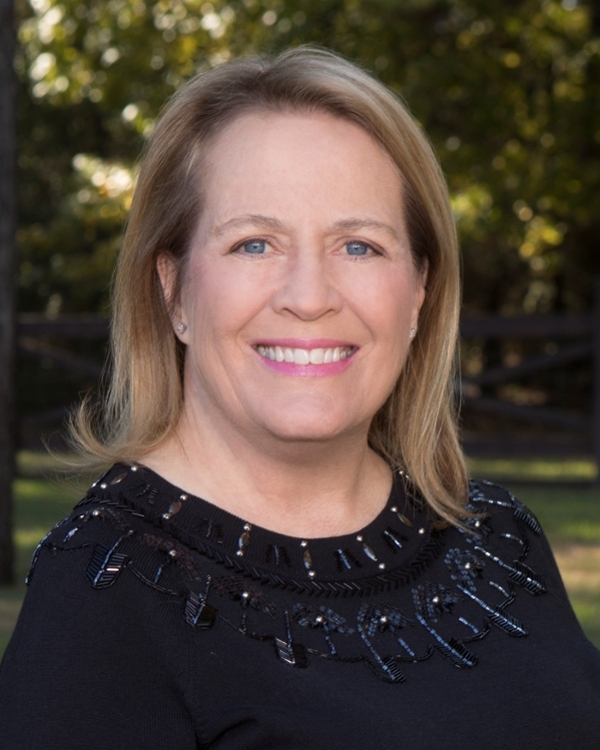 Susan Conn McCurry is a native of Beaumont, TX and graduate of Lamar University who has an incredible passion for education and her alma mater. Like her parents, C.W. Conn, Jr. and Dorothy Anne Stafford Conn, she has made significant contributions to Lamar University and its students. In 1982, McCurry received her Bachelor of Science in Elementary Education, specializing in mathematics. Following graduation, she took a position at Spring Forest Junior High in Houston, teaching seventh and eighth grade level math. Beginning in high school and later throughout her life, she also worked at Conn’s in many different areas. The most rewarding time she spent with the company was working in her father’s office. For more than a decade, while her children were attending John Paul II Catholic School, McCurry volunteered her time as a Girl Scout leader and led the Kids on the Block program, using puppets to teach children social skills. In 2003, she began to teach three and four year old students at Trinity Day School in Beaumont, a role she held for five years. In 2008, McCurry opened Terra Bella Stables, allowing her to explore her love of animals and horses. The stables specialize in the training of Gypsy Vanner show horses which have won numerous awards. McCurry is a lifelong member of Trinity United Methodist Church where she has served on multiple committees including the finance committee for the past three years and as stewardship chair. She is also currently serving as a member of the Board of Trustees and Board of Trinity Day School. Together, she and her husband Roger have three children and five grandchildren. She continues to be a “Cardinal Super Fan” to this day, going to as many LU basketball games as she can. In the summer of 2015, McCurry made a substantial contribution to athletics by helping to secure a state-of-the-art basketball scoreboard and video screen utilized at all games played in the Montagne Center. The contributions she has made have allowed the basketball program to rise in stature beyond what many other mid-major programs can boast. McMurry has also contributed generously to the Greater South Park Neighborhood Partnership and LU’s collaboration with Pietzsch-MacArthur Elementary School. In December 2017, the McCurrys purchased 900 new bicycles for each student of the school as a Christmas gift. In 2018, she invited LU student athletes to accompany her and over 100 elementary students from BISD to Walmart to pick out toys for Christmas that she donated. Her life is defined by her love of education, children, and a passion to continue carrying on her parents’ legacy and helping others in any way that she can. Each day she strives to put a smile on at least one person's face. McCurry and her husband Roger reside in Beaumont, TX and she is the proud mother of her daughter Camille of Beaumont, son Steven of Kingwood, and step-daughter Danna of Beaumont. Smallwood Law Firm as an associate and became partner in 1977. In 1980, Wortham was appointed by then Governor Bill Clements as the State District Judge of the 60th District Court. Additionally, he served as Visiting Presiding Judge in the 58th District Court, 317th District Court, and 279th District Court in Jefferson County. He also presided in Harris County, Smith County, Brazos County and Hidalgo County. For over a decade, Wortham served as the United States Attorney for the Eastern District of Texas. He served two terms in this position under the appointment of President Ronald Reagan and served on the Attorney General’s Federal Debt Collection, Immigration, and Environmental Crimes Subcommittees. 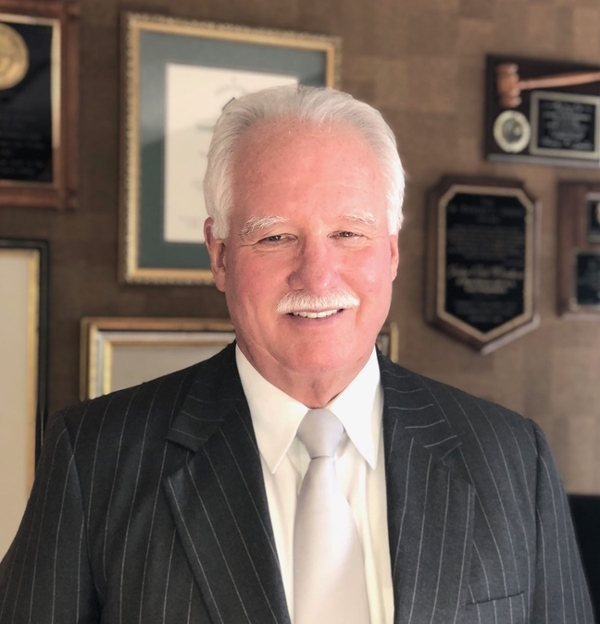 Once his term expired, Wortham became partner at Reaud, Morgan & Quinn LLP, where he served until 2006 before becoming the State District Judge for the 58th District Court. Since 2015 Wortham has served as the Jefferson County Criminal District Attorney. Wortham is an innovator and legal pioneer whose landmark cases have had national impact; he is a philanthropist whose generosity has touched numerous individuals and organizations. Wortham’s career is distinguished by awards and recognitions including Outstanding Young Lawyer in Jefferson County, the St. Thomas Aquinas Stewardship Award, St. Thomas More Public Service Award, Press Club of Southeast Texas’ inaugural Newsmaker of the Year Award, ATF’s Arson Prosecutor of the Year Award, the Department of Justice Award for Outstanding Service, Department of Labor Award for Outstanding Prosecution, and Chief Postal Inspector’s Special Award for Excellence. Wortham was named a Southeast Texas Legend by the Beaumont Foundation of America in 2007, is a member of LU’s Mirabeau Society, President’s Circle, Friends of the Arts, is an Athletic Season Ticket Holder, and a former Alumni Board Member. Wortham has made his mark on our community. He has officiated high school and college football for thirty-three years, served as a member of the St. Jude’s Catholic Church and its Parish Council, board member of the Fireman’s Retirement Board, and director of Court Appointed Special Advocates of Southeast Texas. He currently serves as a director of the Jefferson County 100 Club, Southwest Football Officials Association, and is a lifetime member of the Texas Right to Life of Southeast Texas. Wortham and his wife, Karen Guzardo Wortham, live in Beaumont where they have raised four children - Robert, Baylor, Zachary, and Brittney.